How Long Can I Rent a Storage Unit For? We take pride in remaining as flexible and accessible as possible. Which is why our storage units are available on a month-to-month basis – one month is the minimum rental period. 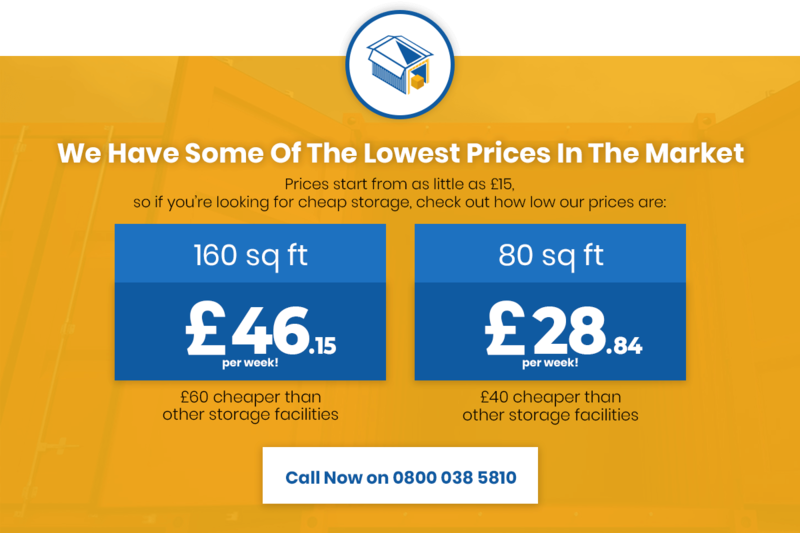 However, there are no limitations to our long-term storage solutions and we’re happy to discuss discounts for extended contracts. Simply give our customer service team a call for more information. When Will I Be Able to Access My Storage Unit? For the duration of your contract, you will have access to your storage locker and property seven days a week, between the hours of 7am to 5.30pm and 24hr . If you need to access your property in an emergency or outside these hours for any reason, simply get in touch and we’ll make the necessary arrangements. You can book online in a matter of seconds by heading over to our storage unit reservation page. Alternatively, you can get in touch with our customer service team directly, in order to discuss the options available. Or if you happen to be in the area, you can always pop by our facility in person to check out what’s on offer. What Do I Need to Bring When Renting a Storage Unit? The first time you visit our facility after making your reservation, you will need to bring your passport, driving licence or another official form of identification with you. In addition, we will also need your credit/ debit card or bank details, if they are going to be used for on-going payments for longer rental agreements. Do You Provide Locks for Your Storage Units? For the security and convenience of our customers, we can provide locks for any of our storage If units for a fee. you want to use your own padlock then please ensure it is of sufficient strength and reliability, you alone will hold the keys. This way, there is minimal likelihood of spare keys falling into the wrong hands ensuring maximum security. What Notice Do I Need to Give to End My Contract? We understand that the needs of our customers often change and work hard to remain flexible. Which is why we require only 14 days’ notice, should you wish to vacate your unit. Let us know two weeks before you plan to vacate it and you will not be liable for any cancellation charges whatsoever. What If I Need More or Less Space? Likewise, we also make it easy for our customers to transfer their property to storage units of different sizes at any time. You will only be required to pay the standard rental price for the units you use – we do not charge any additional fees or commissions for the transfer. What Kind of Vehicle Storage Do You Offer? Our extensive storage facility has plenty of space for vehicles of all shapes, sizes and types. So whether looking to store a classic car over the winter months or an entire fleet of commercial vehicles, our storage solutions cover all needs and budgets. Do You Handle Rubbish Disposal for Customers? Unfortunately, we do not handle any kind of waste disposal on behalf of our customers. Aside from small litter bins for personal rubbish, you will be required to take any and all waste off the site yourself. Do You Offer Property Collection and Transportation Services? If required, we can help transport your property from where it is to our storage facility. Simply let us know where you are, what needs transporting and a convenient time for us to collect and we will provide a quote. As all transportation services are subject to availability, we advise booking ahead of time where possible. Do You Provide Boxes and Packing Supplies? Yes – we can provide you with pretty much everything you need to safely transport and store your property. Simply get in touch with our customer service team to discuss your needs, or head over to our facility in person. Are There Any Restrictions on What Can Be Stored in Your Containers? For more information on prohibited items, get in touch with our customer service team directly. What if I Find a Better Deal Elsewhere? We work hard to keep our prices as low as possible and are always monitoring our competitors. However, if you find a better deal elsewhere, we’ll do our best to match or beat it. All you need to do is get in touch and we’ll do all we can to offer you the best deal on the market. While we don’t provide insurance for your property as standard, it can be arranged upon request. By providing us with the required information – the goods to be stored, value, level of insurance needed etc. – we can organise insurance for additional peace of mind. Call the team today for more details on additional insurance. In a word, yes. Our entire site is covered by 24/7 CCTV and well maintained at all times. We take the safety and security of our customers’ property very seriously and have an impeccable safety record. Can I Visit Your Site In Person? Absolutely! We’re always happy to welcome new customers to our site, just off J6 of the M25. Head down in person and we’ll talk you through the options, while giving you a tour of our facility so you can see how we do business for yourself! Can I really make savings using your container storage storage?